The Weeping Time on WCLK! (Listen To Audio!) - OCEANS, Inc. Enjoy the broadcast, and definitely let us know of your thoughts!! 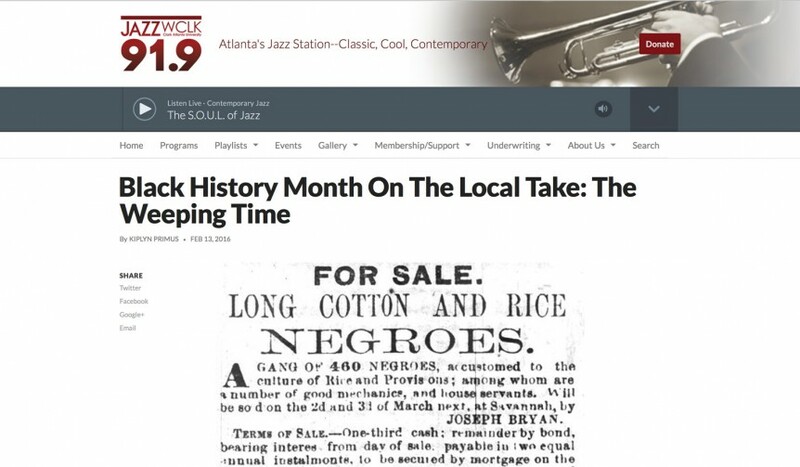 A big “thank you” goes out to Kiplyn Primus for composing the Blog post above, and to Celeste Headlee, the broadcaster for the show “On Second Thought,” both of which are from WCLK, and the Jazz 91.9 “family” for allowing us to share this valuable information! More Blog posts will be forthcoming, so stay tuned, and by all means Subscribe to our Blog posts at right by leaving your name and email address! NOTE: Your email address will NOT be shared with anyone. “Remembering Our Past. Honoring Our Present. Sustaining Our Future.” This is OCEANS, Inc.!